To explain what probate is, we could do no better than paraphrase a statement by the British Columbia Court of Appeal. Probate is strictly speaking, the proof of a deceased’s will. In granting probate, initially court authorities and later, the civil court certifies that a document, put forward was indeed the deceased’s last will. A grant of probate has always had secondary purposes as well. A court granting probate examines not only the authenticity of the will but also its validity, both in terms of formality and the capacity of the testator and the legal capacity of the person appointed as executor to act as such. A little wordy, but that encapsulates what probate is. However, as we explained elsewhere, probate is only mandatory in certain circumstances and is generally avoided if possible due to the expense and exposure to pay estate administration tax to the Province of Ontario. Probate is necessary, primarily in two situations. Firstly, if there is a dispute between various parties and then the court’s seal, is a certification of a document as indeed being the last will and testament is necessary as a starting point and also to confirm the authority of the executor. The second and most common reason is when a third party, holding an asset of the deceased insists that the will be probated so as to protect them from any later discovered competing claims, including claims of a subsequent will. One must recognize that the executor’s authority comes from the will and not from probate. A will prepared is merely a fancy document with no effect whatsoever until its maker’s death. It is then it is activated and put into motion simply by the death of its maker. Despite the general rule that probate is required in disputed estates, there are a few exceptions. Proceedings surrounding an application to pass accounts, varying testamentary trusts and the removal of executors have been held not to require the executor to apply for probate. However, that is a practice that generally is not followed except under the heading of the passing of accounts unless that process itself is contested. We have represented on a number of occasions spouses who either are financial planners or are separating from one. Financial planners are undergoing a seismic consolidationshift in their industry. Financial planners overseeing a set of assets of even thirty milliondollars may find themselves as being deemed to be too small to be worth the trouble for a financial institution to grant them a realistic commission upon which to live on. However, those that are able to make the grade, the various large stock brokerage firms, most of whom are controlled by banks, understand that the customer’s loyalty is not to the bank, but rather to the individual financial planner. The institutions at times attempt to lure financial planners to shelter under their umbrella. These transfers are often accompanied by substantial financial inducements. Those inducements are generally configured as forgivable loans. As an example, if a financial planner moves from one bank to another, they may receive a large amount of money in the form of a forgivable loan. They will be “lent” all the money at the time of the move, but it is only “earned” at the end of each year that they remain within the term of loan. As an example, if Mr. Jones moves to CIBC, CIBC may grant him a half a million dollar forgivable loan. However, the loan is forgiven in increments of hundred thousand dollars for every year that he stays. This way the loyalty of Mr. Jonas is bound by these golden straps for hopefully at least a five year term. This brings up many complicated issues, which have been discussed elsewhereon this website. Is the money earned each year as income or is it property? How is this dealt with at the time of separation? Generally from a property perspective, one or both of the parties will engage a CharteredBusiness Valuator to come up with the value of the book of business as of the date of separation. It is an extremely complicated process, not much different from alchemy. An advanced degree in trigonometry, calculus and algebra with a dash of Freudianpsychology, will assist one in properly interpreting such a report. Fortunately we at Dale Streiman Law LLP have the services of highly competent chartered business valuators to turn these esoteric treatise into concise conclusions. However at times, one or both of the parties will either not hire chartered business valuators or may argue that their conclusions are only a guess and are incorrect. Justice Richard Bennett in the Emerson case, which was recently subject to a review by the Ontario Court of Appeal, quite properly found that the very amount given almost at the time of separation by one institution as an inducement to the financial planner to jump, was the best evidence on the true value of the book of business. We repeat a steady and experienced hand is required to navigate a separation when a financial planner is part of the equation. Ontario in the 1990s modernized its system of registering almost all of the land and its ownership within the province. It moved from a very ancient system commonly referred to as the Registry Act System to an electronic/digital system that is part of the Torrens Regime. The Torrens Regime is named after its inventor, Sir Robert Torrens who created what was then a revolutionary system in 1858, which quickly spread to North America. The concept behind the Torrens System is that the government would keep the records of ownership of the various parcels of land across its jurisdiction and whatever was registered was guaranteed to be a truthful reflection of that ownership. In contrast, the old Registry System has been referred to as a marketability/of/title system. Under that old system, the province would provide a place to deposit and register various title and ownership documents and citizens would simply rely upon their own search of those documents. The province promised nothing. One can easily see how the Torrens System was far more reliable. If there is an error under the Torrens System, there is an insurance program to compensate those negatively affected. In no way however is that a replacement for title insurance, which is commonly purchased at the time that a property is bought. Title insurance which costs only a few hundred dollars, largely guarantees that if there is an error in the Torrens System for your property, any loss you suffer will be compensated for. An example is if the property lines as reflected in the survey are inaccurate. It is also a crucial tool in the event of the scourge of mortgage fraud. In an interesting article by Jeffrey Lem, he points out that in contrast to Canada’s acceptance of Torrens,especially Ontario, our neighbours to the South have steadily marched backwards from Torrens to the far less reliable marketability of title system. If any of our readers have ever had the misfortune or fortune to purchase property in the United States, this is often handled by title insurers rather than simply a real estate lawyer. It can be a very daunting process and far from straight forward. Mr. Lem points out that realistically only two States within the United States regularly use Torrens. The vast majority of Americans are ensuring that some title searcher or real estate lawyer will have an opportunity to earn more money than they need to. Ontario has almost 100% of its over six million parcels of land within the Torrens System. In Ontario, the Torrens System is governed by the Land Titles Act and that is the common reference to differentiating properties under the old act, namely The Registry Act. Child and Spousal Support enforcement is almost the exclusive jurisdiction of a Government Agency called the Family Responsibility Office (“FRO”). The Family Responsibility Office is both a blessing and a curse. It is free, it is imbued with vast powers, including suspending a defaulting payors’driver’s license, seizing their passport and even incarceration. The negative aspect is it is a Government Agency underfunded, understaffed and can move quite slowly. We are often asked the likelihood of the courts actually jailing someone for not paying support. Debtors prisons featured vividly in the novels of Charles Dickens are a thing of the past. However, the courts retain the ultimate power when their authority is being held in contempt. In a decision rendered by our former partner, Justice Marvin Kurz of the Ontario Court of Justice,(he has since been elevated to the Superior Court)in Garrick, our former partner finally pulled the trigger in sending a defaulting payor to jail for 90 days. The court had given Mr. Garrick no less than 25 chances to make payments. Mr. Garrick, a convicted fraud artist, tried every complaint known to man in an attempt to convince the court that he simply could not pay. Mr. Garrick, a trust fund baby, found eventually that he wore down the patience of Justice Kurz. Curiously, Mr. Garrick who professed a complete lack of funds and inability to pay the child support arrears in excess of $55,000.00, once the court actually sent him to the “can” was miraculously able to find the money within a few days and as such spring himself free from the iron clutches of society. So in conclusion, it can happen, but it is a rare event. Conversely, we have found that the seizing of a defaulting payor’sdriver’s license far more frequently imposed and having the desired effect. On the reverse side of a driver’s license suspension, we are frequently consulted by defaulting payors upon receiving a warning letter from FRO that the payors’ driver’slicense is soon to be suspended. The court canon application make an Order stopping FRO from suspending ones’ license, but with one warning. These suspension notices have a fixed period of time within which one can apply to the court for some relief. Often, these defaulting payors have lost their job or perhaps even a recipient child is no longer eligible for support. The court will listen and the court will make the appropriate Order. However, if one waits to see a lawyer and apply to the court after the expiration of the notice period, you have placed yourself in a terrible position. The court no longer has the jurisdiction to exercise its discretion in freeing one up from the suspension Order. All you are left with is a begging position in front of a representative of the Family Responsibility Office seeking a break. You would have moved from the generally rational and empathetic ear of a Judge to at times the bureaucratic and tin ear of a FRO representative. Moral of the story, do not wait, as soon as you get such a notice, run to hire a qualified family law lawyer. At Dale Streiman Law LLP, we offer our clients at no charge the ability to store their original Wills and Powers of Attorney with our office. All clients receive an electronically scanned fully signed copy of the Will, but this is not a replacement for the original Will. Some of our clients take their Wills and place them in the safety deposit box at a bank, which is an acceptable alternative. What is not acceptable is simply throwing the fully signed Will into a drawer in the hopes that when father time finally calls, it will still be there. If one can lose their keys, one can lose their Will. If no one can find a Will, the courts may very well apply the rules of an intestacy (what happens when you die without a Will) which may very well result in a division of a person’s estate, very different from that which they wished. However in some circumstances, a scanned copy or photocopy of the Will can be found but just not the original. There is the ability to seek the court’s approval of a photocopy (signed or not) as being found to be as good as the original Will. This is an expensive proposition and one to be avoided unless there is no choice whatsoever. An example is the recent decision of Leditz v. Hillel, in whicha woman the Testatrix, did a Will in 2010 leaving everything to Hillel. However when she died six years later, no one could find the Will, although copies were available. If the court felt that the Will could not be found because the testatrix intentionally destroyed it with the intent to cancel the Will, she would have left an intestacy. In the event of an intestacy, the terms of The Succession Law Reform Act, will determine who gets the testatrix’s estate. The test became whether or not the presumptivestarting point that the reason the Will could not be found is that she had intentionally destroyed it had been rebutted or disproved. Strong corroborating evidence needs to be found to disprove this presumption. The court also looked at section 13 of The Evidence Act, that evidence on matters before the testatrix death must be corroborated by strong material evidence. It needs to be independent and materially enhance the probability of the position. Simply put, it must come from an independent source that the testatrix in this case intended until the very day she died that her estate would go to Hillel and that she did not intentionally destroy the Will and legally cancel it. In this case, there was such corroborating evidence and the photocopy was upheld. Think very carefully as to where your Will will be and we repeat our firm retains at least 50% of the Wills that we prepare. We also now obtain our client’s written instructionson what is needed to release an original Will or Power of Attorney. Generally for a Will be released, our clients direct us that the executor must appear with a death certificate in hand. With respect to Powers of Attorney, clients at some time insist that we receive a letter from a physician certifying that our client has become mentally incompetent before we are instructed to release the original Power of Attorney. Your average reader would be surprised to learn that when one parent has sole custody of a child pursuant to either a court order or separation agreement, they have the unilateral ability to simply apply to a provincial government agency (The Registrar General) to change the surname of the child. They do not require the consent of the other parent. Accordingly, it is important that a provision is made that consent is required either in a separation agreement or in a court order. However that does not bring matters to an end. As recently pointed out in a decision of the Ontario Court of Justice (Family Court) of Justice Finlayson in Pastranv. McDonough, even when there is a separation agreement granting the parties joint custody and agreement contains a provision that the child’s surname not be changed, the court the still has the ability to re-open the point. In this case, even although the parties had signed a separation agreement less than two years ago, the mother now asks the court to change the child’s surname to a hyphenated one so as to include her maiden surname. The reason given by the mother is that whenever she deals with various agencies such as crossing the border, hospitals and schools, she needs to prove time and again that she actually is the birth mother of the child. This causes her stress which in turn causes her child stress. Also, the mother wanted her cultural background partially reflected in the child’s surname. Lastly, the mother was about to have a new child with a different partner and wanted some link in the child’s surname. Father strongly objected, especially in light of the fact that the parties had just agreed on what the child’s last name would be. In this case, the court did agree that the child’s last name should be changed. The court looked at what the legal basis was in this case. The starting point is of course The Change of Name Act. Only in those circumstances where the parties have joint custody pursuant to an order, agreement or where the agreement requires the consent of another person to change the surname of the child does the court become involved when consent is not granted. The court that one must apply to is the Ontario Court of Justice (Family Court). The only real test is what is in the best interest of the child. This legal motivator is repeated over and over in all cases dealing with legal decisions affecting a child. The court does not have jurisdiction as set out in Beenko v. Torakto change the name of the child unless the situation as set out above applies. So be careful from both ends of this problem. If you grant the other parent sole custody of the child and do not make provisions for the change of name, you could find yourself with an offspring having a different last name than yours. Alternatively, once joint custody is granted, the court may apply very loosely what the best interest of a child may be and you may end up with a decision that you are not happy with. Good legal advice as always is crucial. As faithful readers of this website will have noted that common law couples who have property claims against each other, must use various equitable claims against the other in the absence of their entitlement to relief under the Family Law Act. While The Family Law Act grants very similar spousal and child support rights to both common law and married couplesthat similarity does not apply to property claims. Couples who are formally married are governed by a relatively rigid formula set out in the Family Law Act. That formula, is talked about elsewhere on this website. However, common law couples upon separation must look to equitable law that has evolved over hundreds of years to determinetheir relief. These equitable remedies have many names, including unjustenrichmentand since the Supreme Court of Canada decision in Kerr and Baranow, the concept of family joint venture. When making a joint venture argument, to be successful, the proponent must first convince a court that there was such a joint family venture accumulating assets. In essence, a mutual effort was made by the parties or that wealth was accumulated as a result of a joint venture. The court would look at the nature of the parties’ relationship and their dealings with each other. If the court finds that there was such a joint venture, then the court finds whether or not that joint family venture has resulted in a disproportionateaccumulation of assets. In other words, even though it was a joint effort, far more of the assets are registered in oneparty’s name than the other. While what we have described above seems rather imprecise, it is simply a reflection of the current state of law. It leaves it for the courts to throw a legal net over a common law couples’ relationship in an effort to construct a legal basis for justifying a fair division of assets. Certainly for the last six years, these cases have become ever more prevalentand consume a larger portion of the court’s time. Parties far more politically connected than this author have predicted that the inevitable result of these expensive court cases will lead sometime in the future to place common law couples, in other words, parties who cohabit for a certain length of time (and for the issue of spousal support it is three years) legally under the same umbrella as married couples. Simply put, we predict the law will change to equally treat the property rights of common law and married couples. The warning that we would give to one and all is that common law couples, especially where one brings a disproportionate wealth into the relationship, if they wish that wealth to be protected must have a properly prepared domestic contract. The alternative is when faced with the end of the relationship, expensive litigation may very well follow. The husband has moved out leaving the wife and children behind in the matrimonial home. In this era of hyper real estate inflation, the matrimonial home may be the largest asset owned within the family. After the guilt has subsided, what does one do when the husband announces that he wishes to have the family home sold so he can receive his share of its value while the wife already beset by the storms of a separation does not want to inflict further change upon she and the children. The legal answer curiously does not lie in the normal place. Between formally married couples (not common law) their property rights are governed by the Family Law Act.Common law couples are shut out from the very specific formulas contained within the Family Law Act.We direct the readers of this website to the various articles on Joint Ventures and Common Law Property Rights as evidence of the uncertainty facing common law parties upon their separation. However for all the bells and whistles and extensive tools that are set out on the Family Law Act, it has no provision for a quick sale of the matrimonial home. However, in the circumstances where the matrimonial home is owned by both parties – and in this case it matters not whether they are or not married – relief can be found in a very old Law first passed in 1870,The Partition Act. To give one a sense of how old it is, it is reflected in its ancient English. I quote paragraph 2 of The Partition Act, which is the engine of the entire law. “All joint tenants, tenants in common and coparceners, all doweresses and parties entitled to dower, tenants by the curtesy, mortgagees or other creditors having liens on, and all parties interested in, to or out of, any land in Ontario, maybe compelled to make or sever partition or sale of the lands or any part thereof, whether the estate is legal and equitable or equitable only”. The 2016 Ontario Divisional Court decision in Kaphalakos, stated that a joint tenant had a prima facie right toan order for the partition and sale of lands held with another joint tenant. The court is required to force the sale of the property unless the opposing party can demonstrate that such an order should not be made and to do so they must show that the person asking for the sale of the home must show malicious vexatious or oppressive conduct to avoid the order. Further, that mean conduct must relate to the sale of the home and not the general conduct of the person asking for it. In simple terms, one could state that the only way that one can successfully defend a claim by the husband that the home be sold to have the court find that his motives are driven by malice or an ill motive rather than simply wanting to get ones hands on their share of the equity. An example of such malicious behavior might be there are very significant assets aside from the matrimonial home already owned by the husband and that under no circumstances would he be at the receiving end of a payment, but rather would owe money to the wife. Complicated stuff however relatively garden variety in the family law vegetable patch. It is common, as life moves on that either the payor or the recipient’s financial situation changes after an agreement or court order has been made. People become sick, lose their jobs, enjoy significant increases in pay, remarry and the like. The method for effecting a change to an existing agreement or court order, may involve returning to court if the parties cannot agree. The place to effect that change is not the Family Responsibility Office (the enforcement branch of the Provincial Government) but rather the court that made the order in the first place. 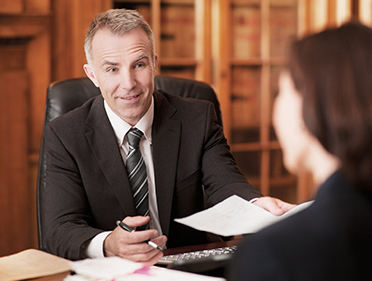 Your lawyer needs to examine either the agreement or the court order that first called for paying the support. Without that starting point it is impossible to provide accurate advice as to how to effect a change. A change must meet the legal test of a material change in circumstances unless such a change has been specifically barred by the court or agreement. The law in this area is complex and begins with the 1994 decision of the Supreme Court of Canada, in Willick. There have been a number of important decisions since Willick including other Supreme Court of Canada decisions such as BG v. G and rights of the family aka Droit de la Famille all of which emphasise that the court needs to examine the objective evidence to assess whether or not the complained of change actually is material. As with so much in family law, a material change needs to be considered within the specific circumstances of each case. Some courts have held that as long as such a change was materially foreseeable at the time of the court order that that change cannot be acted upon should it come to pass. As an example, if you knew your job was in jeopardy, losing it after the court order is not a material change. Recently, the British Columbia Court of Appeal in Moazzem-Ahmadi v. Ahmadi-Far held that a material change is not really what one person knew or reasonably knew, but whether the change was part of the process in calculating the amount of support at the start. The idea, is to not reargue points brought up in the first round. If this change is to be contested you should seek advice from an experienced family law lawyer.